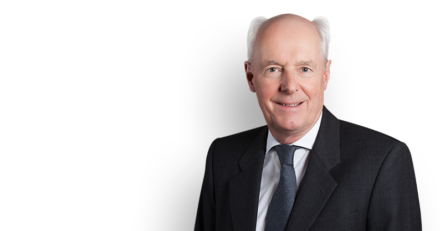 Philip Havers QC led Bradley Martin QC of 2 Temple Gardens and was instructed by Cassius Box of Capsticks in Darnley v Croyden Health Services. On Monday 17 May 2010, the claimant was struck on the head by unknown assailants. Later that day, he went with a friend to the A&E department of (what was then) Mayday University Hospital, Croydon. The trial judge found that the receptionist told the appellant that he would have to go and sit down and that he would have to wait up to four to five hours before somebody looked at him. The claimant waited, but for only 19 minutes, and left for home with his friend without telling anyone. In fact, the claimant would have been seen by a triage nurse within about 30 minutes but was not told this. Had he been told this, the trial judge found he would not have left. In finding for the hospital, the trial judge and the Court of Appeal (by a 2:1 majority) adopted a number of arguments, including: it was not fair, just and reasonable that the hospital trust should owe a duty to provide accurate information about waiting times, there was no assumption of responsibility for the catastrophic consequences the claimant might suffer if he simply walked out of hospital, the information was provided as a courtesy by non-medical staff and the claimant was responsible for his own actions because he chose to leave the A&E department when he had in fact been advised to wait. The hospital had been in breach of its duty of care. Patients such as the claimant “should be provided on arrival, whether orally by the receptionist, by leaflet or prominent notice, accurate information that they would normally be seen by a triage nurse within 30 minutes”. Instead, the appellant “was misinformed as to the true position and, as a result, misled as to the availability of medical assistance”. Whilst the Supreme Court acknowledged that A&E departments operate in “very difficult circumstances and under colossal pressure” (and this might prove highly influential in many cases when assessing whether there has been a negligent breach of duty), it found the alleged undesirable social cost of imposing a duty of care in these circumstances was “considerably over-stated”.